There are so many type of dome cameras that it makes this category of digital video security camera incredibly versatile. There are basically three types of security camera: 1. The box camera, a very popular and original security camera; 2. Bullet cameras, so called because of their shape; and, 3. Dome cameras, also named after their shape. 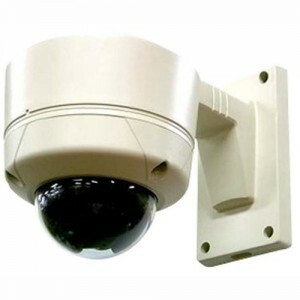 Generally, regardless of the type of dome camera, these cameras come with their own mount or the camera plate itself is mounted directly to the wall, ceiling, or other surface. There are several ways of stating the types of dome cameras. The types are basically arbitrary but there some common characteristics among cameras that allow us to place them in different categories (types) for the purpose of discussion. First we can separate them into indoor and outdoor types. Indoor dome cameras are made in such a way that they cannot withstand some of the rough treatment of constantly being outdoors. Outdoor dome cameras on the other hand are designed to withstand weather and other natural elements such as dust and often have an IP rating. An IP Rating or code is based on the International Electrotechnical Commission’s (IEC) international standard 60529. According to the standard, it “describes a system for classifying the degrees of protection provided by an enclosure. IEC 60529 is NOT a ‘product standard’ and does not cover enclosure requirements other than the ‘degree of protection’ provided. An IP rating is usually represented by two digits and may contain an additional optional letter. An IP rating can be thought of as a more exact classification of the degree of protection offered from the security camera from intrusion by solid and/or liquid matter. The rating is usually expressed as “IP 65” or “IP 65M.” Generally speaking, the higher the IP rating the better protection that is afforded to the camera. 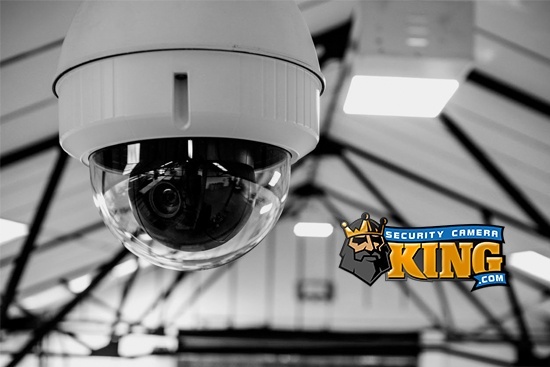 This term can be confusing when dealing with security cameras because some digital security cameras can be IP networked cameras, which has nothing to do with an IP rating. 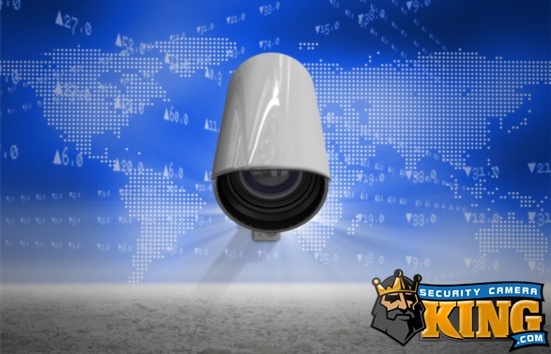 For the benefit of clarity and distinction, an IP networked camera is a camera that can take advantage of Internet Protocol to transmit its video signals over a network or the internet. This brings us to another type of dome camera, the IP (Internet Protocol) type camera. These cameras connect, not necessarily to a DVR, but usually directly to the Internet which they use as a network. Once connected to the Internet, IP dome cameras can be monitored anywhere in the world where there is a broadband Internet connection and this includes 3G and 4G smartphones as well. In contrast, non-IP cameras normally connect to a Digital Video Recorder or DVR via a transmission cable such as coaxial cable RG59. These cameras do not have a direct connection to the Internet although the DVRs they are connected to may have one. Other types of dome cameras include InfraRed (IR) dome cameras. These cameras normally contain an array of IR Light Emitting Diodes or LEDs that allow the camera to “see” in complete darkness. The LEDs work like a flood light for the sensor inside the camera however, human eyes cannot detect them; the infrared “light” waves are completely invisible to us. Continuing with our types of dome cameras, there are also Pan-Tilt-Zoom cameras or PTZ cameras. These cameras can move left or right, up or down, and zoom in or out. One PTZ camera can often replace the need for 2 or 3 or more stationary cameras. These cameras often have a feature called automatic object tracking or object following. They can detect motion and once detected, zoom in on and follow the object. A good example of this is a PTZ with object tracking mounted in a parking lot. It can follow people and/or cars as they enter/exit the parking lot. Finally, there is one last category that we can use to classify the types of dome cameras. These cameras are vandal proof dome security cameras. Since most situations that include vandalism present themselves as such that the camera needs to be mounted very close to where the vandalism occurs, they are subject to abuse. These cameras usually have tough body cases and Lexan windows to help with stand vandal attacks. 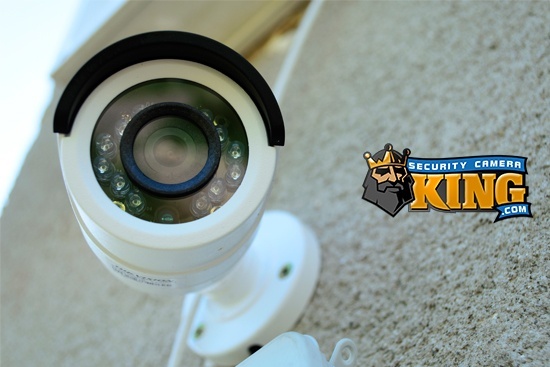 Security Camera King has a full line up of different types of dome cameras. If you need more information you can contact our security experts by on-line “Live Chat” or by telephone at 866-573-8878 Monday through Friday from 9AM to 6PM EST.